I found three very interesting websites on climbing Mt Kinabalu. I think they are tour operators' websites. The ideas given in the websites are useful and the photographs are stunning. 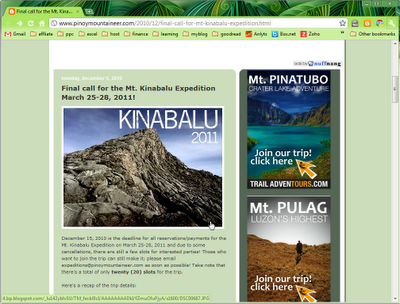 This website introduces another route other than the usual Timpohon Trail and Mesilau Trail to the peak of Mt Kinabalu. According to Wikipedia, Via Ferrata "is a mountain route which is equipped with fixed cables, stemples, ladders, and bridges. The use of these allows otherwise isolated routes to be joined to create longer routes which are accessible to people with a wide range of climbing abilities. Walkers and climbers can follow vie ferrate without needing to use their own ropes and belays, and without the risks associated with unprotected scrambling and climbing." 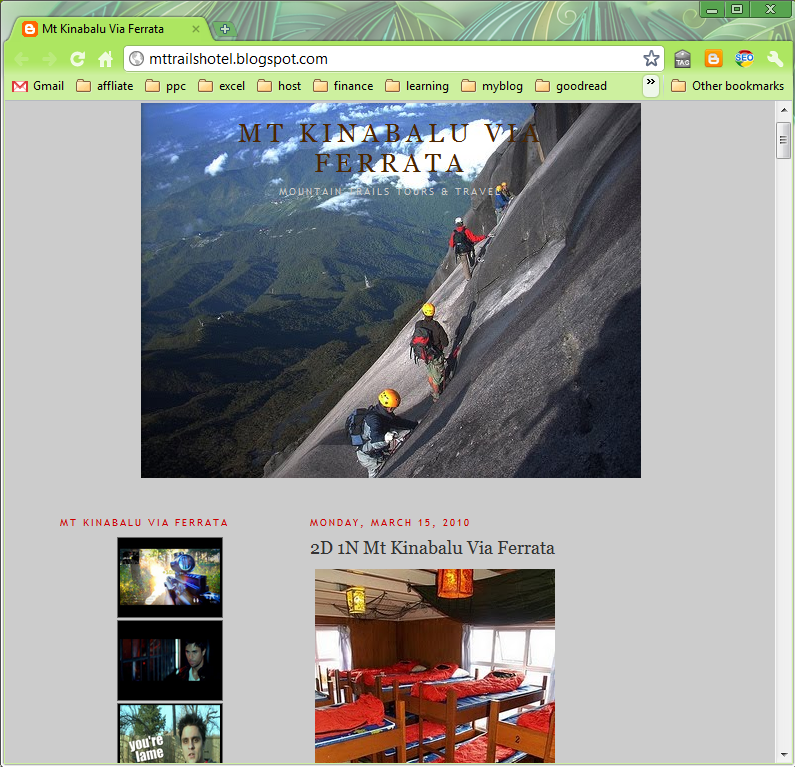 You can look at the website Mt Kinabalu Via Ferrata here. It lists the itinerary and packages of its offers. The price seems reasonable. This is another tour operator. I simply like the photo in this website. 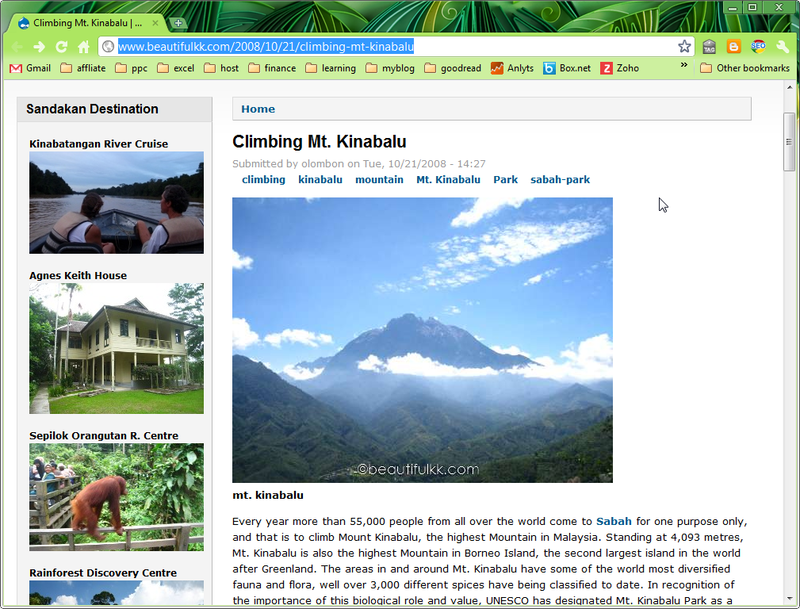 Despite being a tour operator website, it provides a wealth of information on climbing Mt Kinabalu and different views of the mountain from different places. Follow the links at the website for more information like this one on conquering Low's Peak. This one is a Philippines tour operator's website. The photo is nice, therefore I included it here.